Dog suitable, the sun into Lin. Chushu is coming, which means that the hot burnishes is about to end and the weather is getting cooler. But in our country south of the Yangtze River is still high temperature does not reduce, so the folk began to circulate ' great heat slight heat not calculate, the beginning of the autumn Chushu of the summer ' such a statement. Autumn Tiger Strong, afternoon temperature does not lose summer, you need is a thoughtful and warm and cool zhi Gao Intelligent king air-conditioning. Infrared sense of human: personality to give the wind care When summer and autumn alternate, the temperature difference between day and night is larger, some people with poor resistance such as old people and children are prone to colds. Therefore, in the process of using air-conditioning, should try to avoid the cold wind straight blowing body. Zhi Gao Intelligent King 200 (high version) using infrared people-sensing technology, thermal imaging automatic identification of human activity location, according to different cold and cold demand, to achieve wind with people or wind to avoid blowing, reduce the ' air-conditioning disease ' occurrence probability. High-efficiency energy-saving: comfortable to enjoy provincial power without worry Autumn due to the temperature drop, the temperature is high when low, many people will choose to switch frequently air-conditioning response, in fact, this is very expensive to do, but also bad health. Zhi Gao Intelligent King 200 (high distribution version) of the compressor and indoor and outdoor motors are used DC motor, all-round upgrade air-conditioning performance, efficient operation more energy saving. 3D full DC Frequency conversion technology, farewell to the wind and cold, comfortable fast people one step. Although the beginning of the beginning of the beginning of the solar term, but the summer is still not heat, and against the ' autumn Tigers ' the best weapons not zhi Gao Intelligent king, energy-saving, intelligent, mute and comfortable function everything complete, give me a dozen not too much. 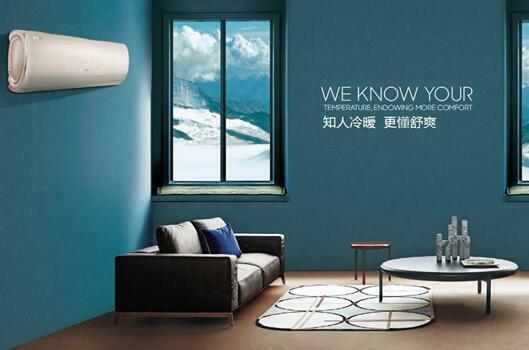 And spring and autumn is often the off-season sales of air-conditioning, manufacturers will be in this time to carry out the corresponding promotional activities, increased incentives, abundant supply, eliminating the waiting for arrival and queuing installation time.